3LAB's Guide to Luxury Living: 3LAB Goes Bridal! 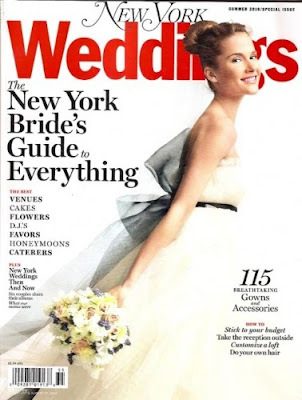 New York Magazine's Weddings Event is the mecca for all brides and grooms alike...alright, maybe more so the brides! This extravagant event was held at the Metropolitan Pavilion, Wednesday evening on April 7th. It is here that anything from jewelry to beauty can be found for that special day. 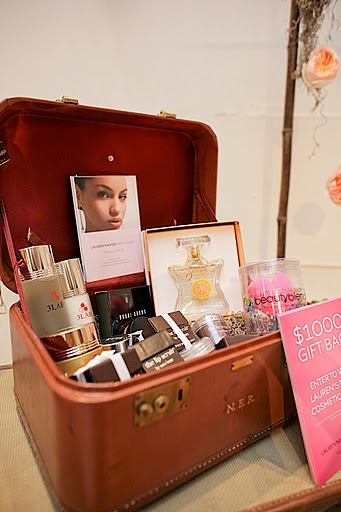 In fact, 3LAB was chosen by renowned makeup artist, Lauren Napier, as her exclusive skincare line at the event. We talked to Lauren to get some of her beauty tips to share with you! 3LAB: Why do you participate in New York Magazine's Weddings Event? Lauren Napier: I am a dedicated fan of New York Magazine. The magazine is chic, sophisticated and hilarious. This directly translates to their readership. For me it just seems like the right place to be! 3LAB: It truly looks like a wonderful place to be and as I am sure so much to look forward to, but what is your favorite thing about the event? LN: I enjoy meeting new brides. New brides exude a level of pure happiness and excitement that is contagious. 3LAB: What advice do you give the brides to get flawless skin for perfect makeup application? LN: Start out by eliminating the caffeine, then drink water by the gallon. Exfoliate dull skin away with the 3Lab Perfect Scrub then pair with the Super H Serum which moisturizes without creating shine. Moisturize with 3Lab's WW Cream, this is a remarkable product. The WW Cream aids in brightening sallow, winter skin. 3LAB: We actually might go home and try that tonight! Where does your favorite look for a bride start? LN: My favorite bridal look is a look that all women can achieve. My favorite look starts with healthy, radiant skin. 3LAB: We couldn't agree with you more. So what are your must-haves to create your famous beauty looks? LN: My must haves are 3Lab's Perfect Mask and WW Cream, Armani Eyes to Kill Mascara and Lipstick Queen's Oxymoron Matte Lip glosses. 3LAB: And what beauty advice would you can offer our readers? LN: Healthy skin begins with healthy skin care and Don't be afraid to invest in your skin or your makeup artist! 3LAB: Thank you for taking the time out to talk to us Lauren, it really was a pleasure! LN: Thank you so much! A special thank you to Lauren Napier and if you missed this season's Weddings Event, New York Magazine will be returning in October with tickets on sale for the semi-annual event the 12th, mark your calendars! I don't know if you can help me figure this out, but a couple of months ago I received a tub of M cream in the mail. I looked it up and it is a $250 item, and I did not order it. I called the number on the return address and the person who answered said he was not 3Lab, but was getting a bunch of calls from other people who had received similar packages. Do you have a contact I could ask, to find out who sent it? DUBAI IS BUZZING ABOUT 3LAB!! !